Holiday Cooking Potato Salad Bites etc. 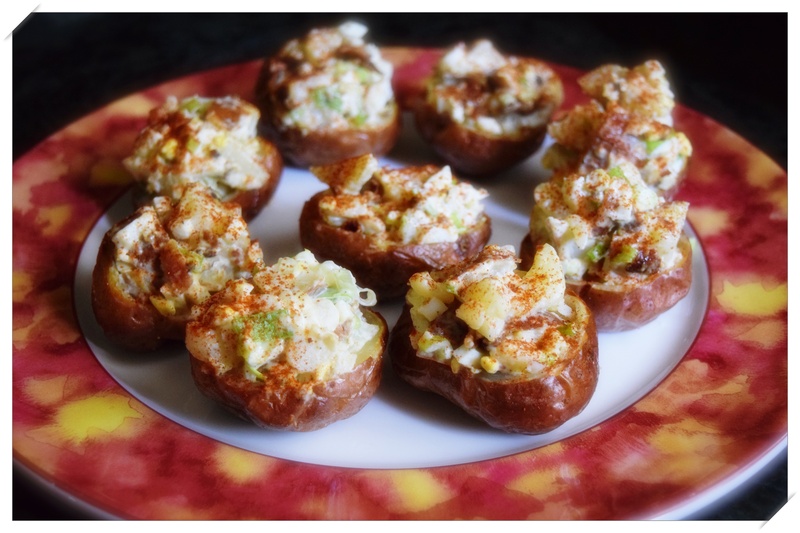 I couldn’t resist a recent recipe that came in the mail and I’m sure that my potato and potato salad loving hubby will appreciate this little treat to go along with his burger tonight…I’m sure that you can use your favorite potato salad recipe ingredients. These little reds seasoned with EVOO, salt and pepper and roasted then you cut off the top, scoop out the potato for the filling, leaving a neat little potato cup for your potato salad…like a twice baked potato. Make your potato salad (rough chop tops and the rest of the potato) fill the cups and chill. What a great take along picnic or cookout treat! 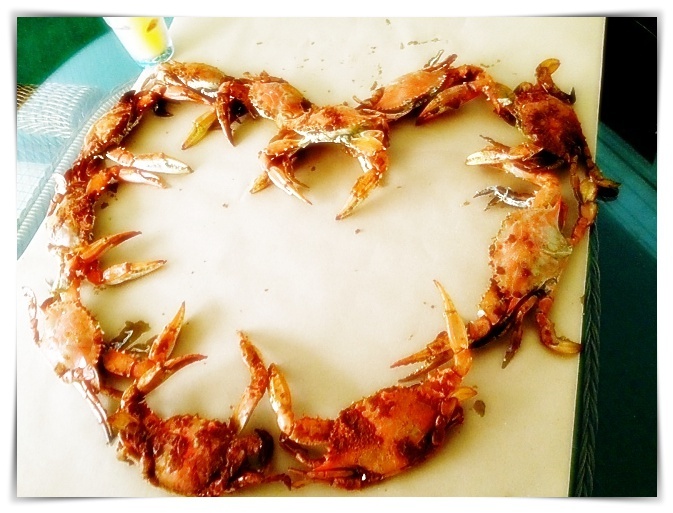 While Michael had his burger and potato salad, I picked away at some steamed crabs for our Sunday dinner, another nice quiet evening this long July 4th weekend.